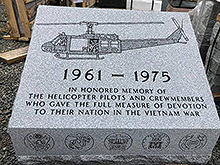 “1961-1975: In Honored Memory of the Helicopter Pilots and Crewmembers Who Gave the Full Measure of Devotion to Their Nation in the Vietnam War.” Those are the words engraved on the Vietnam War Helicopter Pilot and Crewmember Memorial that was dedicated April 18 at Arlington National Cemetery. 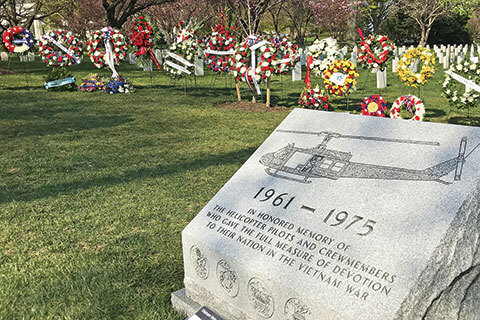 A National Honor: A new memorial at Arlington. A Stitch in Time: Louisiana’s Kaye Lessard’s quilts raffled.